Veggies Rule: Who Really Holds the Power??? Who Really Holds the Power??? I happened to see a video showing that Henry Ford made a car from hemp plastic which also was fueled by hemp (see video below) and it got me thinking about this amazing product…why was it outlawed? The simple answer….those with the money - hold the power which, of course, we already know. The main troublemaker was a company called DuPont. According to Wikipedia DuPont (a chemical company) was founded in 1802. O.k. so the operative word here is "chemical". So you've got DuPont (who has a lot to lose with hemp as competition) making chemicals for the wood pulp paper mills as well as nylon, chemical pesticides, herbicides and fertilizers …. 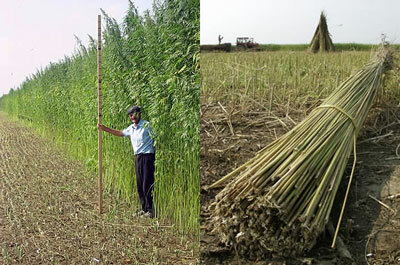 all in direct competition to hemp. Along comes William Randolph Hearst (owner of the largest newspaper chain) backed by the Mellon Bank who invests in DuPont. See where this is going? "At the same time, a machine was developed that was to hemp what the cotton gin was to cotton: it allowed hemp's long, tough fiber to be mass processed efficiently and economically for the first time. Popular Mechanics, in February 1937, predicted hemp would be the world's first "Billion Dollar Crop" that would support thousands of jobs and provide a vast array of consumer products from dynamite to plastics." No, no, no … can't have that - so began the slander of cannabis which, of course, didn't mention that marijuana was hemp. Again, those with the money had the power and, unfortunately the hemp industry didn't catch on soon enough so it was goodnight to all the wonderful, sustainable, eco-friendly hemp products. Now I can't actually find why Ford (who never intended cars to use gasoline) made the switch to petroleum, but I'm assuming that it was because growing hemp became illegal. Also the many bills proposing a National energy program that made use of the vast agricultural resource (for fuel production) were wiped out by smear campaigns by…guess who - yup, petrol companies. Getting back to my original question - So Who Holds the Power? 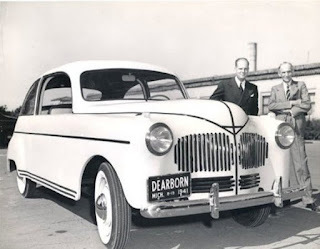 Unfortunately Ford was just way ahead of his time with his hemp car, but he certainly had the environmental vision - so I'll leave the last words to him.